Email marketing and customer communications strategies have long played an important role in a company’s user engagement and conversion rates. Though speculation has bubbled over the past four years that such tactics were losing efficacy in a world where younger internet users, in particular, were showing a preference for fast-paced messaging services, data shows that email use has actually risen substantially during that time period. It is predicted that more than 1/3 of the global population will be using email by 2019. That doesn’t mean that email strategies are easy to develop and execute. Spam filters are the perpetual bane of the email marketer’s existence, and the dawn of Google’s Promotions tab has made things even more difficult. In such a world, knowledge is power, which is why we were so excited to take a look at IBM Marketing Cloud’s 2016 Email Marketing Metrics Benchmark Study. The comprehensive study takes a look at email marketing KPIs by metric, industry, delivery period, function, and region, offering a useful perspective on email marketing and communication strategies. Transactional emails — or emails that are prompted by specific user actions and inaction — receive far greater traction than non-transactional emails, with higher open and click-through rates. This underscores the importance of developing effective system-generated communications to guide your customers and potential customers through the experiences of engaging with your brand. Though marketers often talk about the opportunities associated with event-driven email campaigns — especially around the holidays — these emails suffer from low open and click-through rates. This can be partially attributed to the fact that overall email volume experiences an uptick during such time periods, making it easy for your emails to get lost in the mix. There is a distinctive benefit in establishing a frequency balance. 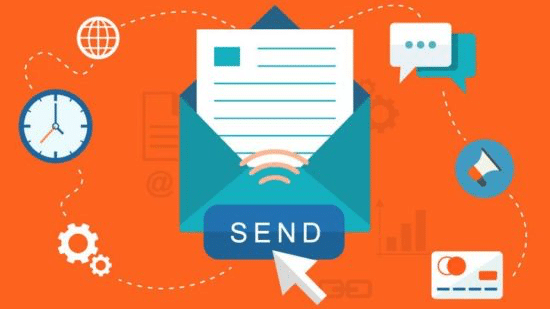 Marketers who send more frequent email communications receive lower open and click-through rates per campaign, but they receive more aggregate traffic and conversions as a result of the strategy. It’s the law of numbers: more opportunities to generate results tends to add up. Surprising no one, mobile email use continues to climb at a steady rate. Though some industries see higher desktop and webmail activity, mobile is dominating overall, particularly in spaces where communications target consumers directly. Though the trend is not new, these findings emphasize how important it is to make sure your emails are designed to be just as appealing on a person’s phone or tablet as it would be on a computer monitor. The report contains many more juicy details and can be viewed here.